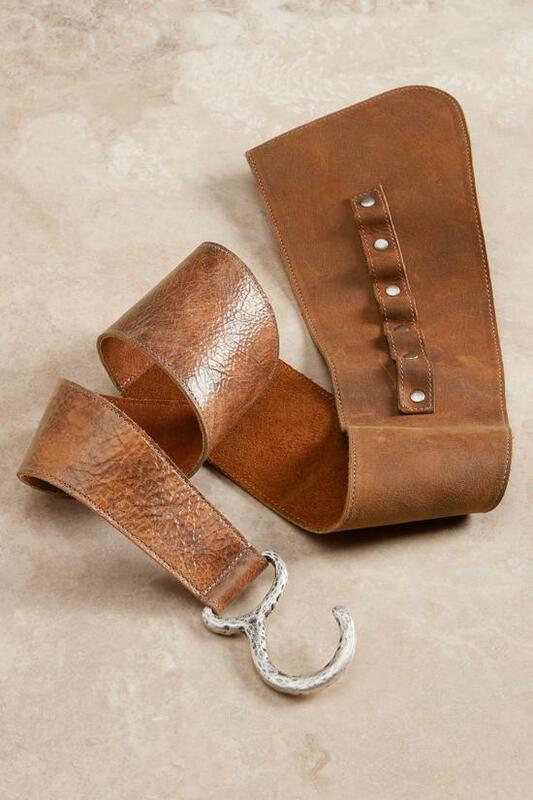 Exquisitely handcrafted belt blends a wide band of smooth distressed leather with a contrasting textural leather strap that ends in a lustrous antiqued silver hammered hook. Simply slide it into the studded leather strip for an adjustable fit at the waist or hips. An artisanal, natural beauty. Tobacco.